I am a person who believes that pets serve a very important role in the lives of those who have them and/or appreciate them. Pets can provide companionship and entertainment to those around them. Studies have shown that interaction with pets can be therapeutic in many ways and that people who have pets live longer. I have had first hand experience with many types of pets throughout life. However, I am particularly fond of Bengal kittens and cats and have gained much knowledge of them. I would like to share what I have learned with others who are interested in this very unique and beautiful breed of cat. The topics I will be writing about will pertain to pets in general as well as specific information on Bengal cats. I would love to connect with pet lovers who are willing to share their experiences with their pets to provide additional insight that will benefit other pet owners. What I would like to accomplish with this blog is to be a source information and insight on pets in general and Bengal cats in specific. I believe people make the best decisions when they are well-informed before taking action. 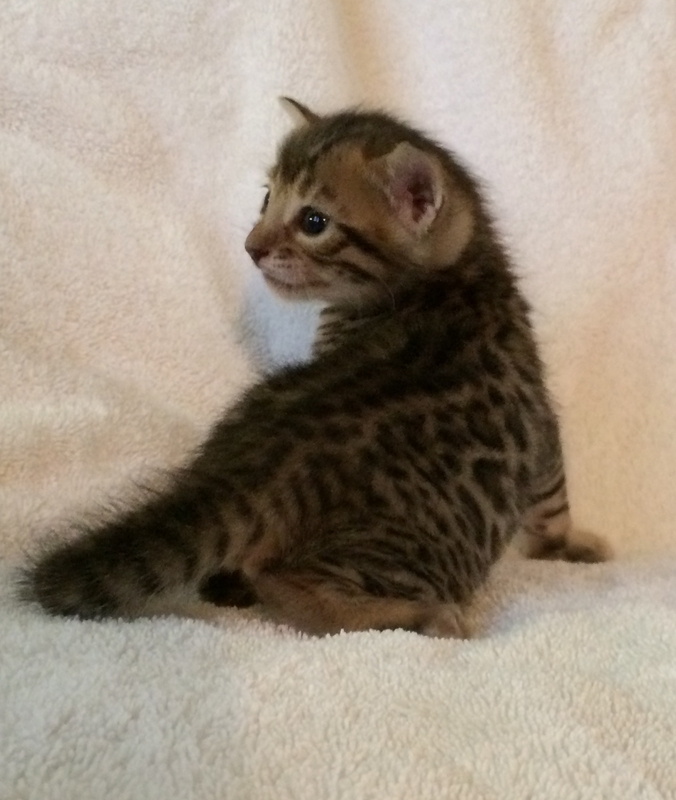 Adore Cats Bengals – Bengal Kitten named Lola. This entry was posted in Pets and tagged bengal cats, Blogging 101, Cats, Kittens, Pets by adorecatsbengals. Bookmark the permalink. First off: Your title and Tagline are great. I just happened to see your message and saw the Bengal Cats. My hubby has been talking about them. He likes their history. So I thought I could read up on it here as well. I am in Blogging 101 as well. Just finished 201 last week. I have only been blogging a few months. Glad you like my title and tagline. It is great you are part of Blogging 101 too. I appreciate your feedback.